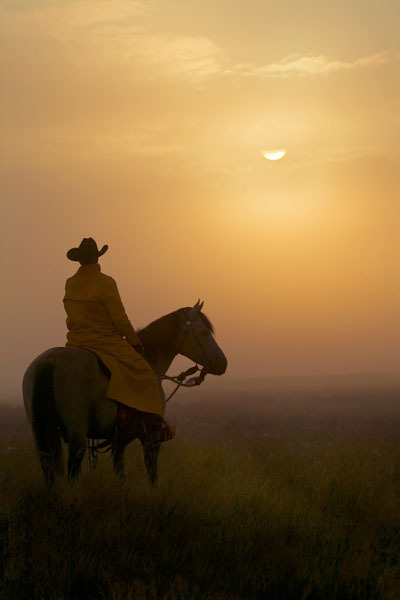 Day breaks as a lone cowboy takes in the beauty of the breathtaking morning sky. With the new day dawning, there will be many chores on the range. With pasture as far as the eye can see, "A New Day" for this cowhand more than likely means working until day's end.